After long time, it is so far again! We, the #gTh Clan would like to invite you. - The 11. Night of Fight starts on 12-11-2011 at 20.00 hours. 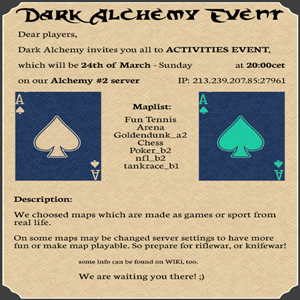 Location is our server EISENFAUST with the IP: 188.138.11.115:27960! 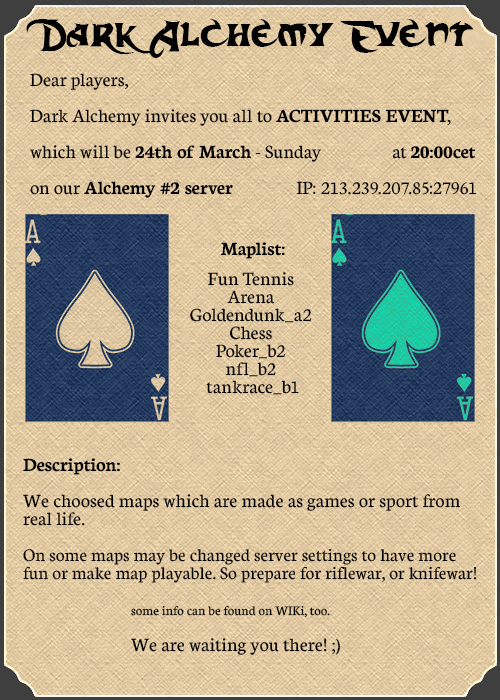 We continue the tradition started by other clans a long time ago. Nach langer Zeit ist es mal wieder so weit! Wir, der #gTh Clan möchten euch einladen. - Am 12.11.2011 um 20.00 Uhr startet die 11. Night of Fight. Location ist unser Server EISENFAUST mit der IP:188.138.11.115:27960! Wir setzen damit eine Tradition fort, die schon von anderen ET Clans/Communitys vorrangetrieben wurde.